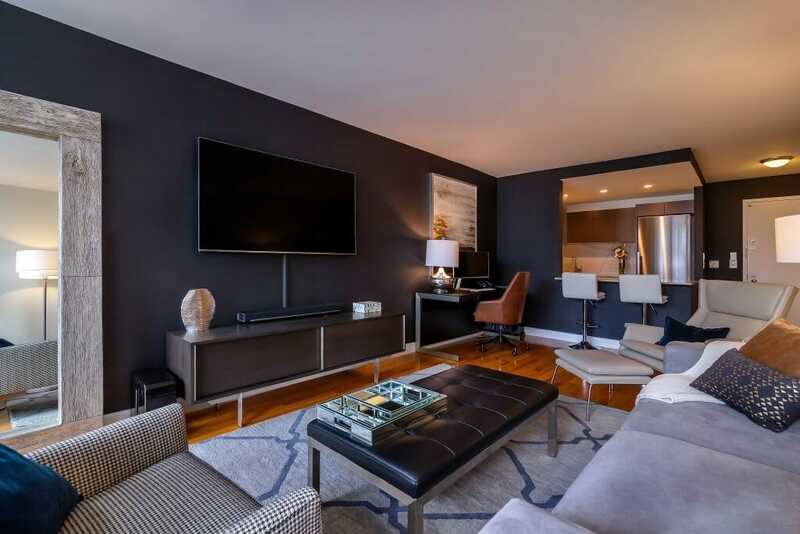 How do you incorporate existing furniture pieces and maximize the use of a small space? So, you live in a big city. It’s no secret that square footage is hard to come by. Just because a space is small doesn’t mean it has to lack in personality. 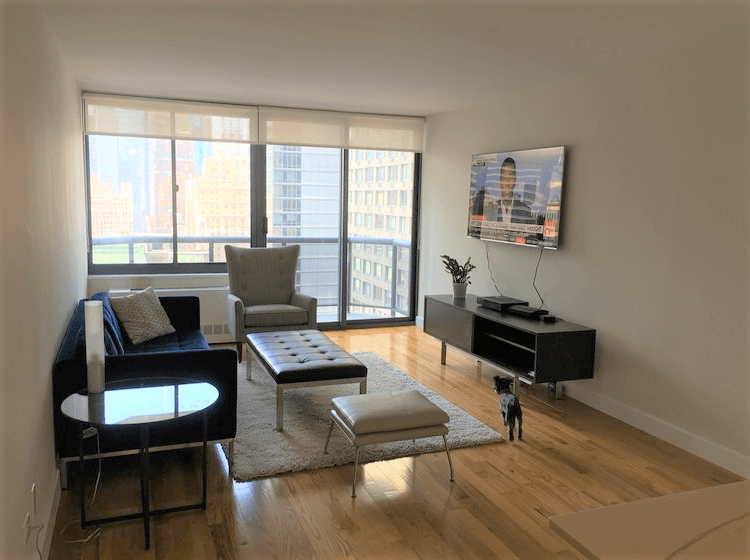 A recent Decorilla client was looking to create a bold bachelor pad right in the heart of NYC. With the use deep colors and cozy textures this living space feels as though you’re in an upscale lounge. 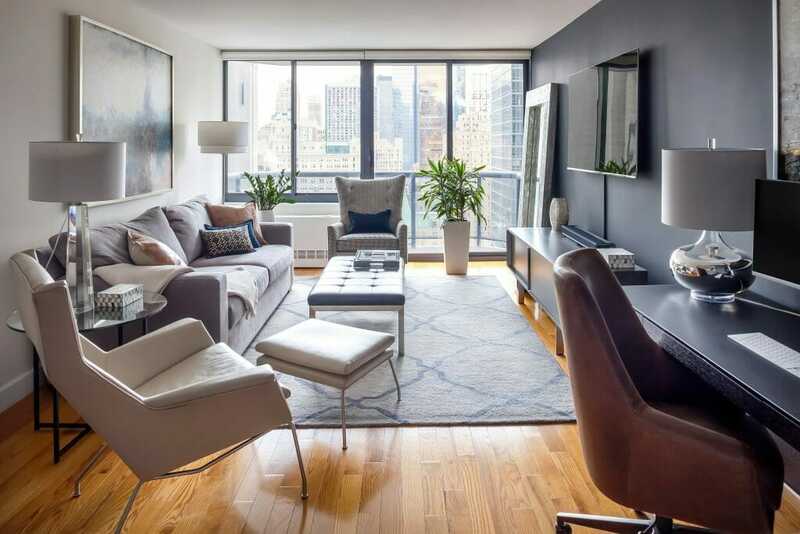 This space is the perfect example of how to successfully incorporate bachelor pad decor into your home. 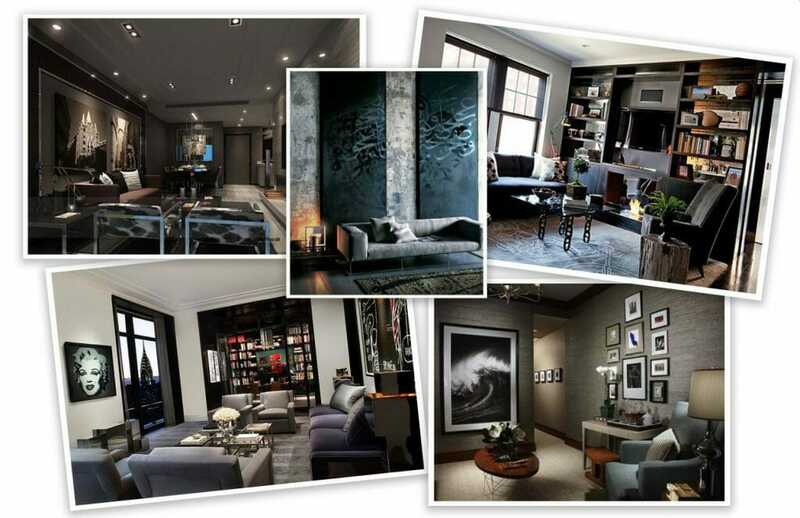 Through online interior design services, he received a striking multi-functional space that is sure to wow any guest. Inspired by modern and contemporary interiors, our client wanted a masculine living space. 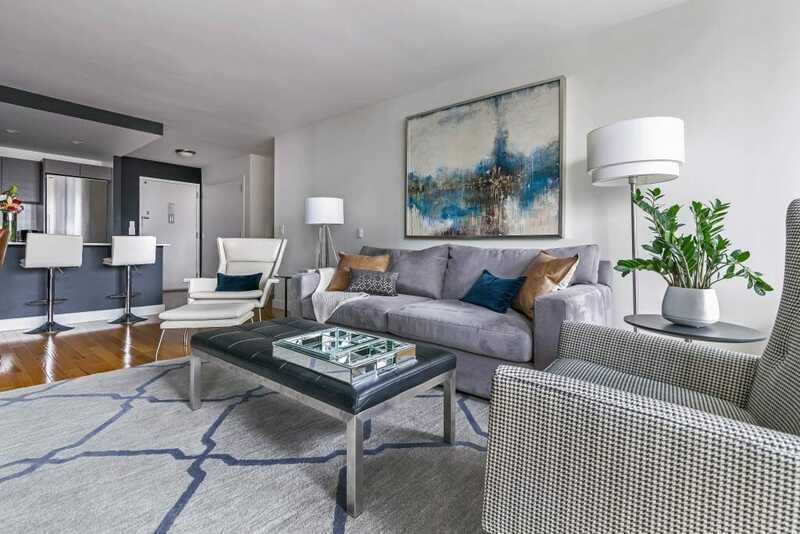 With a number of beautiful furniture pieces to incorporate, he needed help finishing off the space with paint colors, artwork, accessories, and those final pieces to make this apartment feel like home. When designing for small spaces it’s important to maximize every square foot available. 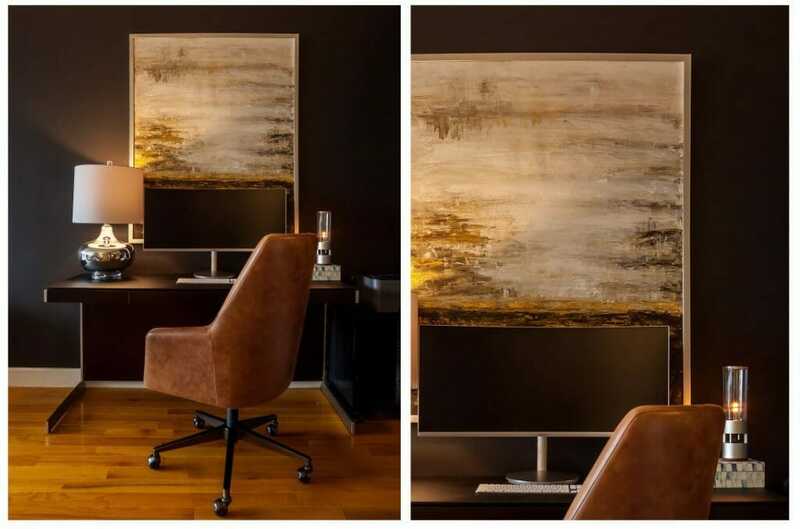 Decorilla online interior designer, Rachel H. had the challenge of incorporating a living room + office + eating area while keeping everything cohesive and sophisticated. 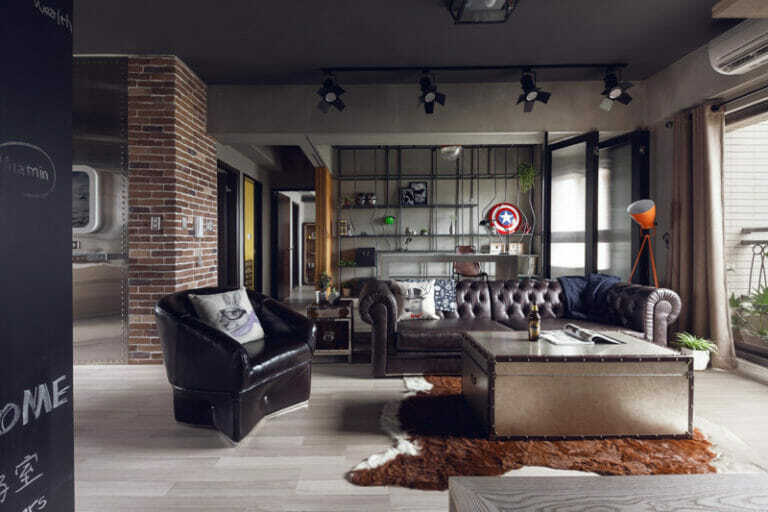 She implemented the clients masculine design style with deep tones and clean lines to create the bachelor pad he’d been dreaming of. 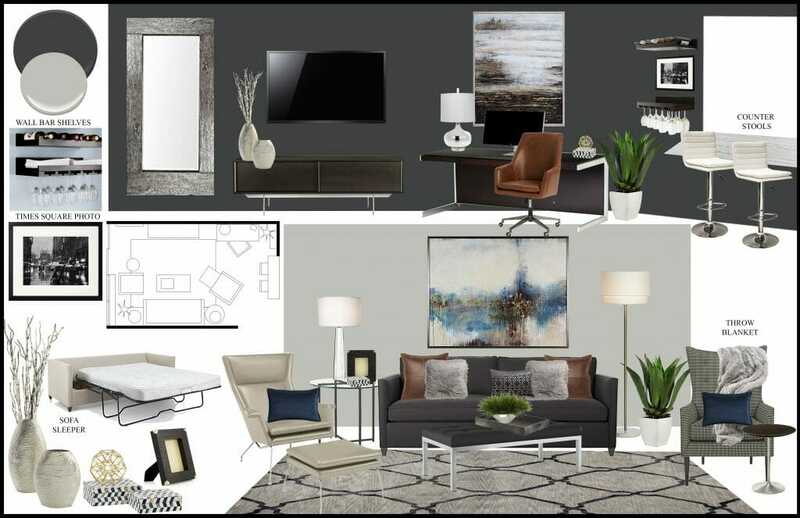 Decorilla Moodboard by Rachel H.
Taking into consideration the existing pieces the client had, Rachel integrated a bold accent wall in Benjamin Moore’s Black Panther with the use of neutral colors and subtle navy accents. Being that this is a multi-functional space, she made sure each area had its own sense of personality while still feeling unified. 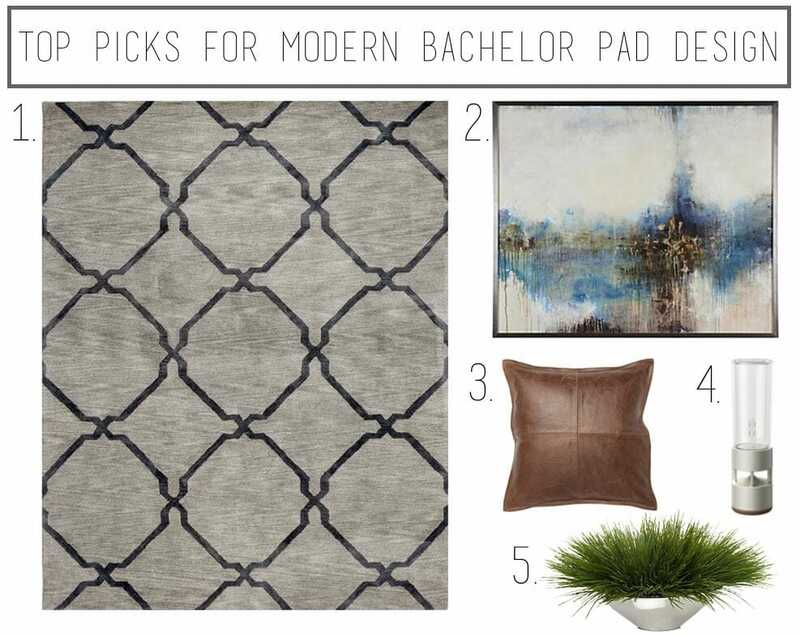 Bachelor pad décor can have a touch of glam too! We love the use mirrored trays on the ottoman. Not to mention the large silver wood grain floor mirror that perfectly reflects the clients city view. Having subtle touches of metallic can bring in just the touch of sophistication you’re looking for. A trend we are seeing a lot in men’s home décor is the use of electronics in a decorative way. Can you spy a speaker in these images? Neither could we. What looks like a modern accent light is actually Sony’s sleek Glass Sound Speaker. This speaker offers 360 degrees of non-directional, crystal clear sound reverberated through elegant organic glass cylinder. Talk about being functional and beautiful! For more of Rachel H.’s work, check out our Designer Spotlight post. Inspired by this transformation? Start an online interior design project now to get proposals from multiple professional designers and a beautiful, cohesive design.